Today, when you order "Ring, Watch and Envelope By Pop Haydn", you'll instantly be emailed a Penguin Magic gift certificate. You can spend it on anything you like at Penguin, just like cash. Just complete your order as normal, and within seconds you'll get an email with your gift certificate. This is Pop Haydn's amazing routine Ring, Watch & Envelope, taught in complete detail. This is truly a miracle class routine that is actually practical to do under any performing conditions. Pop has used it in walk-around and restaurant work as well as in formal close-up and even stage conditions. The magician borrows a ring from someone in the crowd, and has them hold the magician's wallet as "collateral." The magician blows on the ring and it disappears completely--both hands are completely empty. 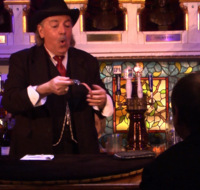 The magician opens up the wallet, unzips a sealed compartment, and takes out and opens an envelope. Inside, instead of the ring, is the watch belonging to the spectator who was holding the wallet all this time. The ring is discovered linked onto the magicians key case. The humor and surprises are memorable and engaging, and create a reputation-making impression. This is one of the routines that helped Pop become two-time Close-Up Magician of the Year at the Magic Castle. Pop teaches you step by step how to do the one-handed watch steal he uses in this routine, and also the sponge ball routine he uses to take the watch, called The Trouble with Tribbles. 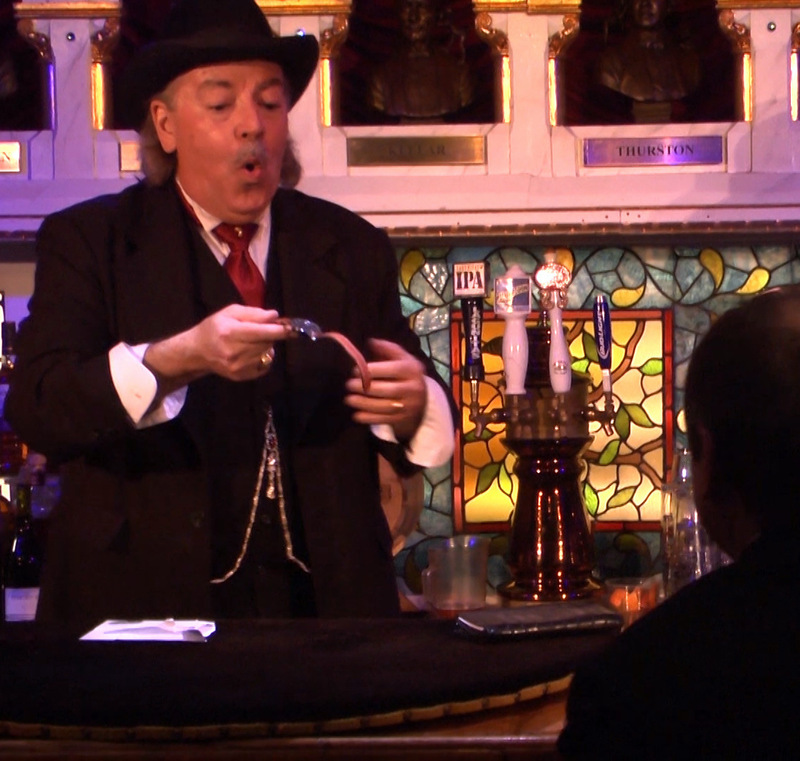 Includes live video of Pop Haydn performing his sponge ball routine and Ring, Watch and Envelope at the Magic Castle. I love Pop's style, nice, detailed explanations. Great trick! 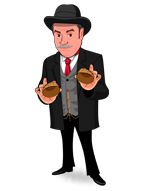 I do like Pop Haydn and its a great routine the reason I only give four stars is because the video is misleading be aware you will have to buy another trick for this routine and it is expensive. So I have to say I feel cheated by Penquin.